Below we have listed a range of slot games which all come with a set of unique bonus features, and as such these slots offer some of the most exciting bonus games and bonus features. 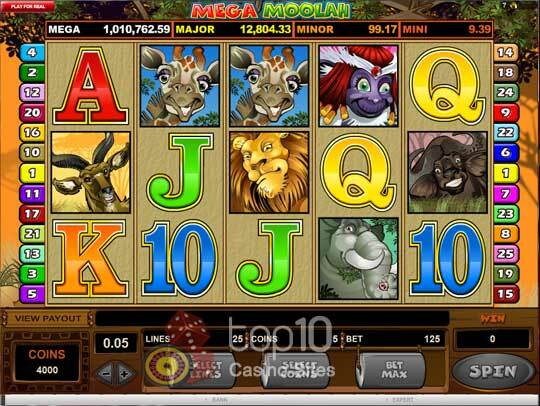 There are 4 games currently in the Mega Moolah range of slots from Microgaming, and as such, a fair portion of this article will be dedicated to these four slots. They all run on different engines, however, they do all share the same ‘linked’ jackpot system, which means regardless of which game you decide to play, you’ll still always be in with a chance of winning one of the 4 progressive jackpots! All of these slots have various playing quirks, and as I mentioned above, different engines which drive them. For example, 5 Reel Drive has 10 free spins available at a 5x multiplier, Isis has between 20 and 30 free spins with a 6x multiplier, Mega Moolah has 15 Free Spins with a 3x multiplier, and summertime has 15 free spins with an x3 multiplier. All of the games do trigger their features in the same way, and this is by spinning into view 3 or more Scatter symbols, also it should be mentioned that all of the games have Wild Symbols, all of which, bar 5 Reel Drive, double your win! Because of the broad number of win lines available to you, you’ll always be able to find a game to suit you, whether you’re looking for a slot offering minimal lines, or something a little more adventurous, the Mega Moolah enabled slots have pretty much all bases covered. Now, the Mega Moolah round, which is the one thing that all of these games have in common, is triggered randomly, and as such, it doesn’t matter if you’re playing for a penny or a pound, or even £10 per spin, you still have a fair chance of triggering the jackpot round which will cause the game to go in to lockdown, and take you to a new screen where you simply have to spin a wheel to find out whether you’ve won the Mini, Minor, Major or Mega progressive jackpot, which start at 10, 100, 10000 and 1000000 coins respectively! So, if you’re looking for a decent chance of winning a progressive on a slot that suits you down to the ground, ensure you check out the Mega Moolah range of slots today, for you never know, you could become an instant millionaire! 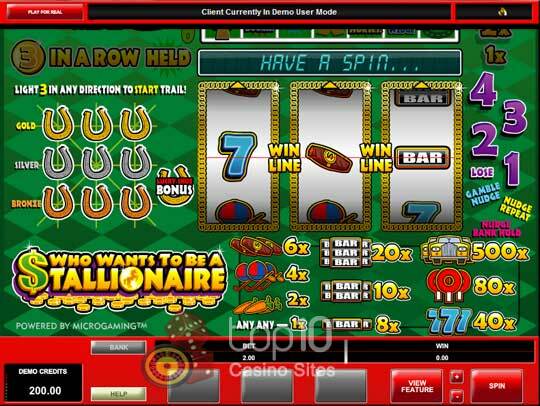 This 50 win line video slot is one of our favourite slots when we want to play a slot without it having too many lines. The game has a Boutique Bonus round, and you simply have to spin in to view 3, 4 or 5 Gift symbols to trigger it. All you have to do then is pick 3 gifts, which will be added to your bank. Simple! 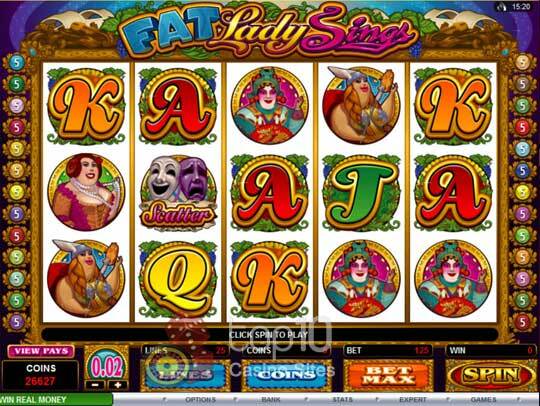 If you like playing slots that offer free spins, then be sure to play Fat Lady Sings, for spinning in 3 or more Masks symbols to be in with a chance of winning up to 30 free spins with up to a x5 Multiplier. What makes things even better though, is that you’ll receive a bonus prize before the spins even begin! 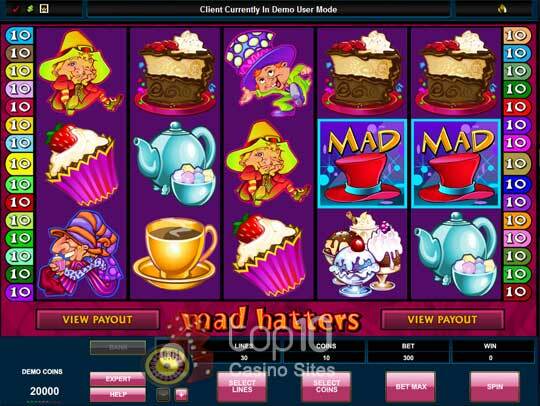 There are more features on Mad Hatters than you can shake a stick at! From the standard Scatter pays, to the Free Spins with extra wilds, there’s also picking games and a special expanding wild! So if you’re looking for lots of features all wrapped up in a neat little bundle, then look no further! This round is triggered by 3 scattered Chinatown symbols. Simply work your way through the rounds picking up credits as you go. 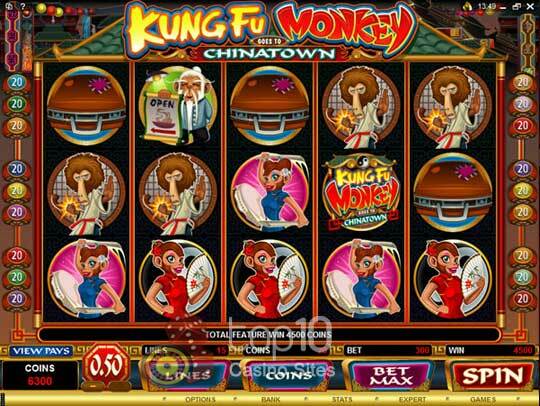 You’ll also find free spins which are triggered when the Gong symbols land on reels 1 and 5. 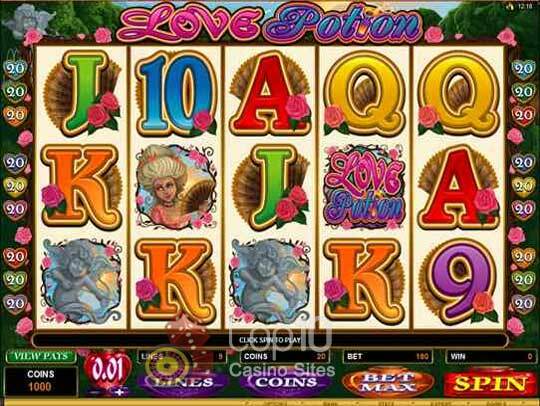 The Love Potion slot comes with 2 single features, and that is 10 free spins with a 5x multiplier. Simply spin 3 or more Scattered Carriages into view to win. 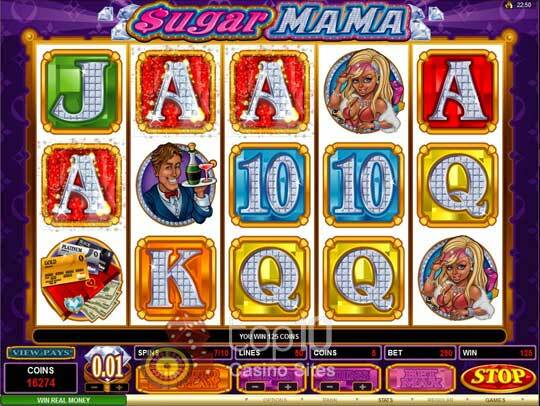 You’ll notice during the free spins that you’ll see many more wild symbols! The other bonus is the Love Struck bonus, and this a simple picking game. 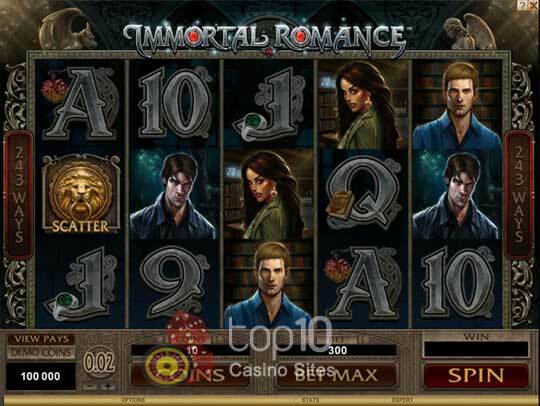 The Immortal Romance slot is a sure winner when it comes to encountering the best features, in fact, it has so many, and we can’t even list them all. However, we can say that you will find 4 un-lockable free spins bonus rounds. Each round has its own special feature, including multipliers, rolling reels, random wilds and more! There are also plenty of randomly triggered bonuses too! The Stallionaire slot is a fruit machine, and as such, you will find a whole array of features, however I’m going to cover the bonus board, which is triggered when you complete a Matrix. The idea of the game is to work your way around the board accumulating prizes without being killed off! 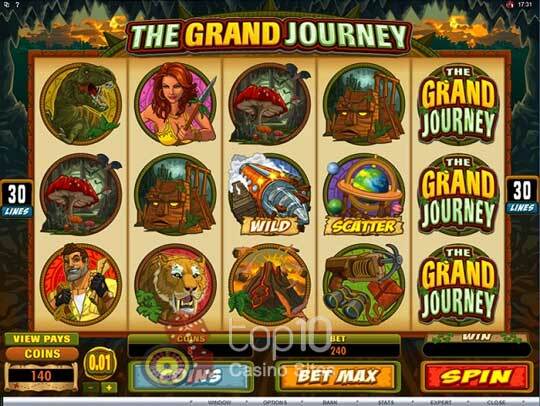 The Grand Journey offers a Free Spins bonus with a very special feature, for each consecutive non winning spin, a multiplier will be added up to a x10 multiplier! The multiplier will only be reset when a win is achieved, so you’ll actually be hoping for losing spins! 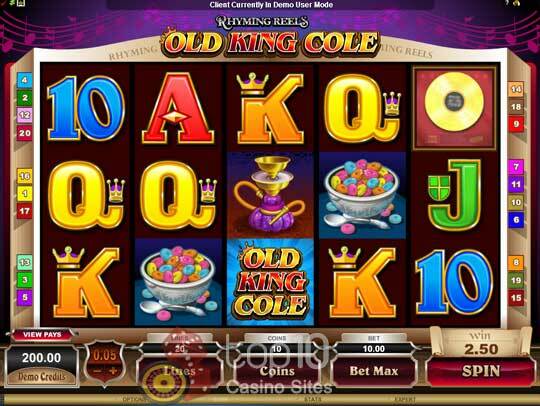 In true Rhyming Reels fashion, Old King Cole comes with a generous 12 Free Spins with up to x7 multiplier. These spins can be retriggered, however, you’ll also find that there’s an extra wild as well, so you have even more winning chances!